Dr Dennis Aydan graduated from Copenhagen Dental School (Denmark). He has extensive postgraduate knowledge in restorative dentistry. He also places and restores implants and is currently attending the prestigious Royal College of Surgeons Dental Implants course. 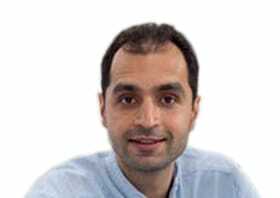 He completed his Masters Degree in Endodontics from Kings College Hospital London. Dennis has developed a strong special interest in endodontics and has gained valuable interest and experience in dealing with a variety of complex clinical endodontics problems including surgical endodontics. All endodontics treatments are performed with a Seiler Dental Microscope which provides invaluable visibility of the complex root canal anatomy. Working under a dental microscope provides safety and accuracy during endodontics treatments. Dennis is a very caring and compassionate clinician. He always strives to provide the highest quality endodontics treatment based on well informed patient decisions. He believes every patient deserves exceptional standards. In his spare time, Dennis enjoys travelling and keeping fit with circuit training.